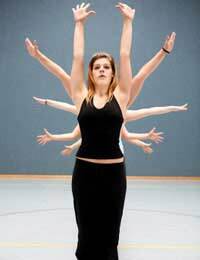 Joining a dance company or dance group is a great way of developing and showcasing your dance skills. Getting started can be a daunting task but with the right information, you can feel confident in choosing a dance group or dance company that is right for you and benefit from their combined experience. It’s all about becoming the best dancer you can be, learning new skills and experiencing the thrill of performance. Being involved in the dynamics of a dance group to develop productions is a great learning environment, but requires commitment and dedication, so make sure you know exactly what you are in for. Dance As Profession or Fun? What do you want to get out of joining a dance company or dance group? Are you interested in training at a professional levelas a dancer, or do you want to simply have fun choreographing new performances? There are many different types of dance companies; some provide a training ground for the world’s future professional dancers, whilst others are small groups that perform regularly at corporate events. Your experience in dance so far will give you some idea as to the type of dance company or group that is best for you, but be open minded; experience in a particular type of dance doesn’t mean you can’t get involved with others. Middle Eastern, Bollywood, belly dancing and cheerleading groups accept dancers with different backgrounds and training. If your dream is to dance professionally, then a dance school affiliated with a company could be for you. Depending on your previous training, you may wish to take classes through the dance school as preparation for entering the company later on. This is not a prerequisite, open company auditions are often held, however taking classes at the dance company of your choice will ensure you are familiar with teaching styles and be more informed about audition requirements. You will also receive information about upcoming performances, work shops and short courses. If attending an open audition, it is a good idea to attend a workshop before hand. Dance companies often hold workshops or master classes which can be great audition preparation. Take part in as many as possible with different dance companies to gain experience with various choreographic and teaching styles. The more experience you have, the more confident you will feel in an audition environment. Try, try again! Don’t be discouraged if you don’t make the selection the first time around. Dance companies want to make sure you are serious - most rarely accept dancers the first time you audition. Put it all down to experience and if you really want to join that dance company, don’t give up. Show you are serious by taking a summer course, train hard and you will have a better chance of being accepted next time. Maybe you realise through the audition process that the dance company is not right for you, in which case you can set about finding one that is. If you see yourself performing as a dancer at sporting or corporate events, dinners and galas then join a dance group that specialises in this area. There are countless dance groups of different styles that perform regularly around the country. Performing at events is a great way to gain experience and exposure and you may even earn some extra money for your trouble! Contact a dance group in your area that takes your interest to see if you can become a part of it. Go along to a practice session to join in, meet the other members and ask questions. Find out how often they perform and where practice is held. Your dance group will require you to be dedicated, which can mean lengthy rehearsals and late nights sewing costumes! As long as you are aware of your responsibilities, you can decide if it’s the right dance group for you. Do your research to find a dance group that suits your aspirations. There is a dance group or company out there for any style of dancer and for anyone that wants to develop as a performer. The amount of time you wish to dedicate is important - professional companies require your absolute commitment to rehearsals, training and performance, which is all part of becoming a full time dancer. Smaller dance groups meet weekly, monthly or when a performance is coming up and can be great if you have other commitments like work or study. Whatever you choose, performing with a group or company is a great way to develop yourself as a dancer. So don’t delay, find a group that suits you and have fun!